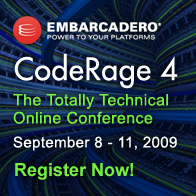 CodeRage 4 is a free, virtual conference on Embarcadero technologies with a lot of Delphi sessions. If you want to watch sessions live, be sure to register through LiveMeeting (the technology they use for making this all happen). Let me know if you download, and what you are using the sample code for. 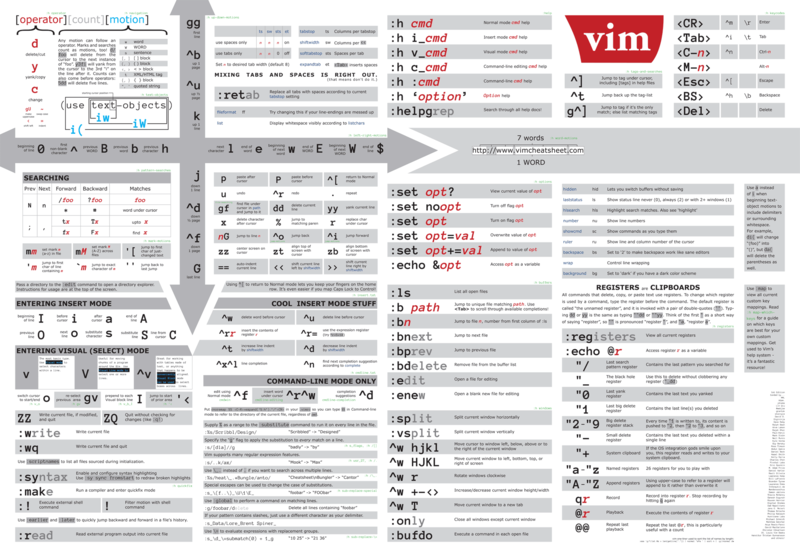 This entry was posted on 2009/09/09 at 17:23	and is filed under .NET, CodeRage, CommandLine, Conferences, Database Development, Debugging, Delphi, Development, Encoding, Event, Firebird, InterBase, ISO-8859, ISO8859, Prism, Software Development, Source Code Management, SQL Server, TFS (Team Foundation System), Unicode, UTF-8, UTF8, Visual Studio and tools, XML, XML/XSD, XSD. You can follow any responses to this entry through the RSS 2.0 feed. You can leave a response, or trackback from your own site.